On Tuesday 19th January 2016, in Nice, France, Bridgestone launched its latest technology DriveGuard. Over 100 journalists from around Europe were invited to this launch event to see what Bridgestone DriveGuard had to offer. The engineering of this new tyre allows the driver to continue to drive for approximately 50 miles at a speed of up to 50mph following a puncture, whether this is a sharp piece of glass on the outer edge or a nail straight through the centre of the tread. These tyres are designed for cars with a TPMS valve fitted, once the indicator on your dashboard alerts you to the loss of air you know you have approximately 50 miles to get to a safe location. As well as offering the driver an additional 50 miles to drive to safety, the tyre allows the car to be able to continue to drive well, maintaining steering control. As well as being a great tyre in an emergency, DriveGuard tyres also offer an 'A' Wet Grip rating, which is the highest wet grip performance, resulting in shorter braking distances. Bridgestone are expected to market DriveGuard tyres in the most popular sizes but there is talk of widening the size range and possibly introducing cold-weather tyres depending on interest in the product shown by the public. This new tyre is expected to be available for sale in the UK from around April this year. Until then, at Hometyre we stock various other Bridgestone Runflats including the RE050A and the S001, to see the tyres we have available in your size either call our sales team on 0800 783 9310 or visit our website! 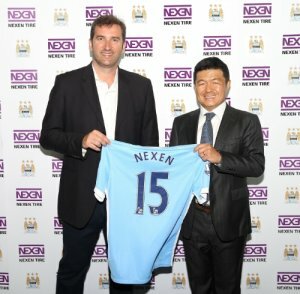 New Sponsors of Manchester City FC - Nexen! It has recently been announced that Nexen Tyres are going to be the new sponsor of Manchester City FC, this new partnership will create a buzz for Nexen starting at the Ethiad Stadium and spreading through numerous fans across the globe. Nexen Tyres are a brand which have been continuously growing over previous years and are becoming more recognised by both dealers and the public. No doubt the brand name will continue to spread following the release of a 30-second advert which is currently airing across various European countries until May 2016, to view this advert simply click here. As well as signing various sponsorship deals, Nexen have also been picking up some well earned awards recently. Across both the Korean Good Design Awards and the US Good Design Awards five of Nexen Tyre's products were nominated, with the Roadian AT Pro RA8 being announced as a winner at both awards due to it's exceptional off-road performance. With Nexen making a big effort to strengthen its presence in the European market, expect to see more of this brand very soon! At Hometyre we stock a large range of Nexen tyres, simply click here to return to our home page to search for Nexen tyres available in your size and have them fitted to your vehicle at home or work, hassle free! New year, new areas covered! We're hitting the new year running, with new coverage announcements on the way! First up in 2016 is Aberdeenshire - with Keith making final preparations to begin trading early February. This area should easily and quickly become our leader for winter and all season tyres - certainly as it becomes our most Northerly outlet - after Edinburgh. From Brighton to Aberdeen, our service remains consistent throughout. On time, in time and delivered by a conscientious and friendly technician on site. We aim to make your tyre purchasing a thing of absolute ease and in a non-pressured (excuse the pun!) environment - YOUR place! Trading in and around Aberdeen and a much wider part of Aberdeenshire too, Keith will soon be on hand delivering exceptional service for private motorists and businesses alike. 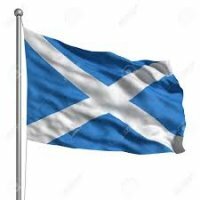 Do you live in Aberdeenshire? With our mobile service you don't need to travel to a garage to replace or repair your tyres anymore - we come to you at home/work - in fact just about anywhere and at specific times of day too*. Winter tyre fitting has never been easier too! Store your tyres at home at no extra cost. *Call us for more information on 08007839310. It's been a very busy year and we're truly grateful for your continued custom and support - thank you. Our sales team will be available to take your calls on the following dates and times this New Year. Please contact the team for fitting availability in your area. Have a great New Year and please do drive safely throughout. More to it than you may think! You've probably never even considered how a tyre is made or what's involved! For most motorists tyres are given very little consideration - other than the annoyance at the often unexpected cost of replacement. The very real fact is that your tyres save your life EVERY time you drive your car. Really! We all want them to last 50,000 miles, often with little or no regular maintenance, through all types of road & weather conditions and speeds - and many assume that despite the assumption that they should handle all this with ease, that tyres should be a fraction of the price! The end product, however, hides the extensive manufacturing processes, technologies and materials used to produce it! Take a look at this short video (you have to live with the slightly dodgy soundtrack though)! It offers a brief insight into the production of a modern car tyre. It's not just a big piece of rubber!! Worried about insurance implications of winter tyres? With winter now starting to take a grasp of the nation, there are many motorists nationwide making the switch over to cold weather tyres. If you've never experienced the benefits of these products before, you really would be amazed at the dramatic improvements in cold weather driving. These tyres maintain grip at all temperatures, unlike summer type tyres which harden at zero degrees and below and continue to lose traction thereafter. In terms of overall vehicle safety, handling and braking performance during our cold, wet and dark winter months, there really is no equal. That said, every year we hear a similar tale or two from clients who have spoken to their insurers prior to fitting these tyres to check if there would be any issues. Sadly we also encounter stories where said insurers are either charging additional premium values or even suggesting that policies could be made void through the fitment of these items too! It is misleading and an utterly deplorable stance for any insurer to either charge for or attempt to prevent a motorist from improving theirs and other motorists/pedestrians safety due to a total lack of understanding of cold weather rubber or indeed just to enterprise. Motor insurers recognise that some motorists may wish to fit winter tyres to their car during cold weather. Motor insurers recognise that, whilst no substitute for common sense driving, winter tyres can have a positive impact on improving road safety. In the past there has been some uncertainty for insured customers about the insurance premium implications of fitting winter tyres to their cars. To assist in reducing this potential uncertainty, the ABI has produced the Commitment set out below which sets out the position of those named motor insurers in respect of the impact on the insurance premiums of their insured customers if a customer wishes to fit winter tyres to their car. As can be seen, often motor insurers will not charge an additional premium when their insured customers use winter tyres, provided that they meet, and are fitted in accordance with, the vehicle manufacturers' specifications and are in a roadworthy condition. However, some motor insurers may require you to contact them to let them know if you do choose to fit winter tyres. The name of your insurer and their contact information can be found on your insurance policy documentation (summary details are provided below). It is important to remember that sometimes your motor insurer may be different from the company that sold you your insurance policy. This Confirmation will apply from 3rd September 2015 to 2nd September 2016 at which time it will be reviewed. Please note that this Commitment only applies to cars used for personal use that are insured under a private or personal use car insurance policy. The insurers named below do not require the payment of any additional premium if customers decide to fit winter tyres to their cars, provided that the tyres meet, and are fitted in accordance with, the relevant vehicle manufacturers' specifications and are in a roadworthy condition whilst in use. A full list of these insurers can be found here. 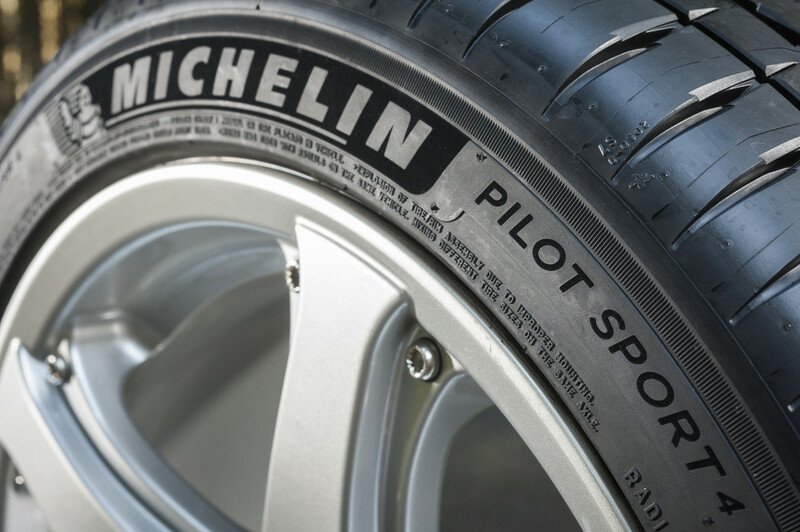 architecture, tread pattern and materials.A worthy successor to its predecessor, the Pilot Sport 3, this tyre is stated to be the ideal choice for drivers of powerful saloons and sports cars. road surface - akin to microscopic suction pads operating at nanoscopic levels. With a steady increase in the popularity and demand for larger sized tyres - and with Original Equipment fitting across almost a third of new manufactured vehicles in Europe, Continental have exciting times ahead. Called upon by Ferrari once again to continue with the two prestigious brands long standing partnership, Bridgestone have created a brand new super-sports tyre - the Potenza S007. Designed initially for the Ferrari F12 - the Italian thoroughbreds most powerful road car ever produced - the tyre is available in both conventional and run flat specifications in 255/35ZR20. The S007 is the latest high performance tyre designed especially for the very high speed sports. Hometyre supply and fit tyres across all major brands and to all types of vehicles including high specification, prestigious brands such as Aston Martin, Ferrari, Porsche etc. Call us today to arrange fitting at you home or work address to suit. We fit at specific times of day too. No waiting - no fuss - just great service. First real signs of winter this weekend! We can't complain about the weather and temperatures so far this autumn and early winter, Other than some gusty winds it's been mild and occasionally wet - otherwise pretty good. Is it all about to change though?? Certainly this weekend the mercury is about to drop with a rude awakening that's for sure. With wind chill factors taking us into the minuses, we're also expecting widespread snowfall across the UK. The question, as you'd expect from us, is: are you prepared? This week has seen our mobile units across the UK busy fitting motorists' winter tyres back on in preparation for the season ahead - a bit later than most years. Are you current tyres up for colder, wetter weather? Have you considered swapping on to cold weather rubber - or even replacing existing wheels and tyres with a winter alternative? Have you seen the all new all-season tyre from Michelin? The Cross CLimate is the world's first all year round tyre to cater for winter and summer with equal performance! We've got numerous solutions to keep you safe this winter. Not sure where to start? Call us for some impartial no obligation guidance. We're now covering Edinburgh too! That's right, final preparations are underway to launch the Hometyre service across Edinburgh from the end of October! Tony is the main man operating across Edinburgh and the Lothians and he's really excited about wowing customers with his dedicated services at home or work. Pay in advance or upon completion - it's your choice! Never used a mobile service before? Relax - not only are we Which? accredited but we've been operating since 2003 and cover a large section of the UK already. We've tens of thousands of very happy and loyal customers who call us back time and time again. After all, why pay the same or more for tyres or tyre related services where you have to make all the effort going to them? What's more, we're clean, tidy and a friendly group of likeminded individuals who really do go the extra mile for you. Try us! It may be the last time you ever have to leave the house or your workplace to buy new tyres or have one repaired. That's got to be a big bonus! We made a time machine.....out of a Citroen!! 21st October 2015 represents a very significant date in the diary for those in the know! Yes, it's the date the intrepid time travellers Marty McFly and Doc Emmett Brown travel to from 1985 in order to rescue the future. Back in the '80s Spielberg and Zemeckis foresaw a number of advancements in tech that didn't quite happen! Flying cars, self tying laces, hover boards and robotic petrol stations have yet to materialise in the real world but things have certainly come along a long way since 1985. Live Aid concerts occur during the summer. Super Mario Bros is released by Nintendo. Hometyre. The future of tyre replacement!! Great news! Our entire network has been fully accredited and approved by Which? for a second year running.The Which? Trusted Trader Scheme gives our customers the peace of mind that they're dealing with a professional and trustworthy brand that will work strictly to guidelines and with proper customer care practices in place at all times. So relax - you're always in good hands with Hometyre! 2012 saw the European-wide introduction of Tyre Labeling legislation for all new tyres produced for the market. This information provides consumers with valuable assistance when deciding which product may best suit their driving style, climate and particular vehicle. Key areas of focus are: wet braking efficiency, rolling resistance (fuel efficiency) and external noise output in decibels. "ContiSilent™ is a tyre noise-reducing technology developed by Continental. 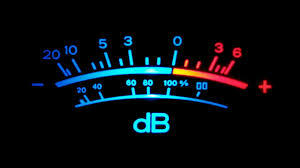 It is designed to reduce interior noise on all road surfaces. ContiSilent™ tyres are equipped with an inner tyre absorber, a polyurethane foam, attached to the inner surface of the tread area with an adhesive. Regardless of the temperature, the structure of the foam stays intact. ContiSilent™ helps reduce interior vehicle noise up to 9 dB(A), depending on the type of vehicle, its speed and the road surface. At the moment it is only available for summer tyres and is compatible with all commonly available rims. Driving performance is not affected and there is no negative influence on mileage and load/speed capability. Fitting on four positions is recommended." Further brands are reacting to the market too. Falken have introduced a similar technology with their 'Silent Core' system. A product which is claimed to last the life of the tyre and offer up to 4db reduction in internal noise pollution through its innovative double-humped foam layer within the tyre carcass. Tyres are becoming more efficient, safer and quieter through ongoing technological advancements - have you considered quietening down your journeys? Contact the Hometyre team for more information today. We supply and fit a growing range of 'quiet' tyres. 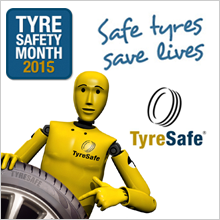 It's National Tyre Safety Month 2015! 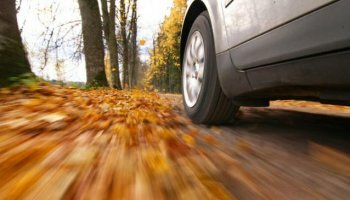 Alongside the browning and falling of the leaves and the occasional frosty start, October sees a month of raising awareness of tyre safety, spearheaded by national tyre awareness organisation TyreSafe - and a month which Hometyre fully supports and engages in too! Why October, you may ask? Well, we can all get a little complacent with our tyres throughout the summer. Drier spells (yes,there were a few! ), warmer temperatures and cleaner cars often mean that tyre maintenance doesn't really get a look in - unless via a service or MoT. Winter months are far more demanding on your tyres. Cold temperatures, prolonged wet periods, ice and sometimes snow are all commonplace for 5 or 6 months of our year here in the UK. Low tread is just one of many potentially hazardous errors that occur with your tyres. Low pressure caused by punctures or a poor seal to the wheels effect handling and braking - not to mention fuel economy. Splits and cuts expose vital parts of the tyre to foreign objects that could lead to dangerous blow outs at worst and a flat tyre during freezing dark mornings at best. you may want to ensure that they are suitably prepared for some harder work in the coming months and are ready to CONTINUE saving your life every time you use them! 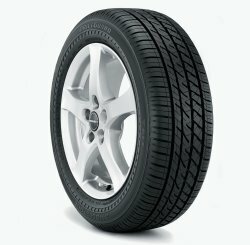 To support National Tyre Safety Month - and of course to promote our services to new potential clients, we're offering free, no obligation tyre safety checks* at business parks, offices, schools etc where we have unrestricted access to car parks and a means to contact vehicle owners with important information. Interested? We hope you will be. Afterall, it's free and we could highlight an issue that you may be completely unaware of. At the very least, you'll get your pressures checked and a clean bill of health. Call today for availability in your area. *Subject to coverage of your location in the UK. Please call our support team for guidance on 03334445454 or 08007839310. With the governments proposed shift in legislation regarding Mot testing, the UK's national Tyre Safety platform, TyreSafe, have voiced serious concerns on behalf of the consumer with regards to road safety. Currently, new cars and motorcycles require a first MOT test after three years but this is anticipated to be extended by a further year. It was recently stated during the Summer budget Speech that this change of policy would save UK motorists over £100m per year. Unfortunately however, it has been proven that a very high percentage of motorists fail to adequately check tyres on their vehicles between services or annual testing. While vehicles have become considerably more reliable and of a better build quality in recent years, this critical safety component is left largely ignored unless a significant error occurs to force an inspection. A recent TyreSafe roadside tread depth survey has concluded that from the 35.3 million vehicles active on UK roads each year nearly 10 million tyres will be illegal during 2015. Further extending the inspection process is likely to further increase this already frightening statistic. It is the organisations belief that the behavioural attitude of the motorist needs to change, alongside greater education into the importance of tyre safety before any such legislation change should take place. What do you think? When do you last routinely thoroughly check your own tyres for wear or damage? The much respected summer tyre test carried out annually by UK car magazine - Auto Express, has this year awarded global giant Continental as the outright winner. The awards highlight exceptional performance, safety, performance, quality, desirability and value. The Auto Express Ultimate summer tyre test challenged eleven brands in size 225/45R17 with the Conti Sport Contact 5 out scoring all others across a wide field and holding top spot for dry braking, dry handling, wet handling and wet braking. This sort of performance victory over its rivals was noted for its rarity and gave Continental engineers a real sense of achievement for their efforts to create such a dominant product. 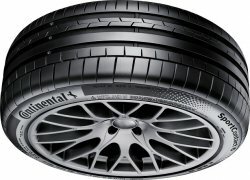 The Conti Sport Contact 5 is available to purchase for cars from size 17" and upwards and for SUV from 18" and above. Hot on these heels of this triumph, the brand also achieved another first - having been awarded Consumer Superbrands status for 2015, following the most recent evaluation of the long-running annual survey, which has been identifying the UK's leading brands since 1995. The process, managed by The Centre for Brand Analysis (TCBA), questioned 2,500 UK consumers who assessed more than 1,500 brands. Consumers judged the brands on three key criteria: quality, reliability and distinction. 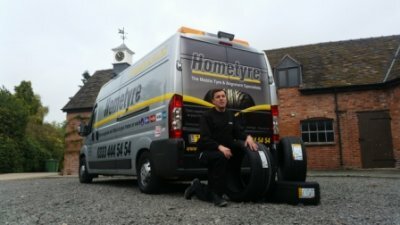 Hometyre provide the full range of Continental tyres all supplied and fitted at your chosen time, date and location. Call today for more information. When do you check yours? How often do you honestly get down on hands and knees and thoroughly inspect your own tyres? Once a week? Once a month? Never? The alarming fact is that most motorists never check their tyres - either for wear, damage or pressure - rather leaving it for either the annual service or MOT technician to identify any potential issues. Quite often motorists are contacting us when they have a noticeable problem - either a deflation or severe vibration/noise occurring. Upon inspection we frequently show customers some pretty terrifying wear states often with large patches of tyre devoid of tread or worse still with the steel carcass hanging out. So how are these things missed so often? Well, consider the modern car. Low slung, very little clearance between the arch and the wings and with tuned suspension, ABS, traction control and huge amounts of sound deadening between outside world and cockpit. Basically, the car can be very forgiving on the user when the tyres are in a decidedly poor condition. Unless you park with the wheels fully locked over or indeed get onto bended knees to check the rears from behind the car, you are unlikely to see where most of the wear on the modern car occurs - the inner edge. And why so much on the inner edge, you may ask? Again, modern cars have all the benefit of the decades of development and research into handling, braking and safety and therefore cars have wider tyres for more grip and a greater camber angle (the top of the tyre tilts inwards towards the car body to improve handling around corners and for overall stability). A tyre viewed from above with the car parked up may therefore appear to have ample tread on the outer edge but actually already be perilously worn towards the inside. Take heed of the warning and take a look at yours at your next available opportunity. It takes but a minute or so, even for the absolute untrained eye - but could be the difference between safe driving and some very serious consequences. And could it all be about to change again?? With the uprise in popularity and abilities of the electric motor car, tyres look like thy're heading narrow again for minimum contact and resistance and therefore greater fuel economy. A recent investigation by Tower Hamlets Trading Standards - in conjunction with the Uk's leading tyre safety organisation, TyreSafe has revealed further evidence of the sale of unsafe tyres to an unsuspecting public. In one premises alone, 17 tyres were inspected. 11 were deemed to have safety issues. 6 were repaired to a sub-standard level and only 5 overall had the correct marking applied to identify their used status. Inspectors also reported that the fitters had questionable knowledge or indeed abilities to deal with tyres and repairs safely. Unfortunately many motorists, keen to save a few pounds, will often choose to be suckered in by part worn sellers who will usually spin a compelling story as to the quality of their tyres. Usually that they either come from Germany (trust us, Germans don't replace tyres needlessly!) or from accident damaged cars. The reality is far different. 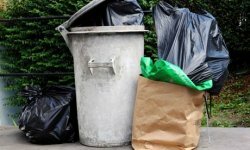 Most are sourced from scrap piles and will have been replaced for a very good reason already. Let's face it, how many motorists do you know who would replace a perfectly good tyre for absolutely no reason at all? And more to the point.... when have you? Finally, Ofcom has enforced some changes into the mobile network providers!! From now on all calls from your mobile to our 08007839310 number are totally free of charge! Our 0333 number will remain perfectly active though as this will only use inclusive minutes on your contract (and it's an awful lot easier to remember if need be!. So get on the 'phone to us today to discuss your tyres and tyre requirements - we waiting to help you! Motorists and business owners of Sheffield take note - Hometyre is coming! Fronted by the very savvy and professional main man, Sam E. you can expect the standards of service and care at the levels motorists from numerous other towns and cities across the UK have become used to and return to time and again. Sam gets rolling week commencing 15th June and is already eagerly looking forward to rolling out the proverbial red carpet to customers each and every day!